The Big Wrap Main Event guarantees a €1 million prize pool. Many poker players are already battling it out in the WSOP International Circuit that started March 14 and runs through April 1 at King's Resort, located on the German border in Rozvadov, Czech Republic. Many of these players will likely stay another week at King's Resort with many pot-limit Omaha enthusiasts joining them with the casino hosting the inaugural The Big Wrap on April 1-8. The Big Wrap features two big pot-limit Omaha tournaments with combined guarantees of €1.2 million. To put this into perspective, this is more than the WSOP International Circuit €1,700 Main Event guarantees for no-limit hold'em players. 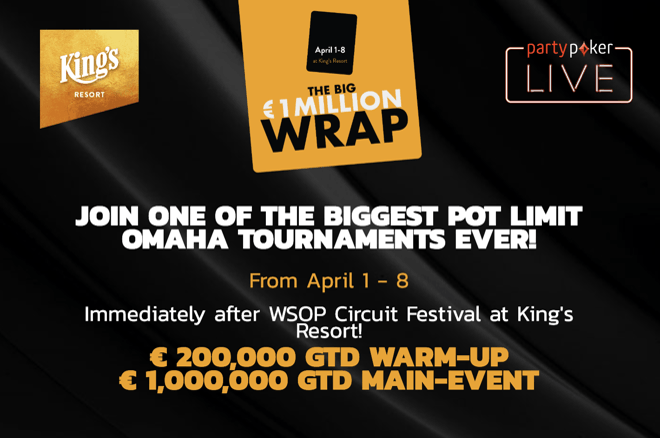 The festival kicks off with a bang with players competing for a share of at least €200,000 guaranteed in The Big Wrap €550 Warmup PLO on April 1-5. The three opening flights with players starting with 30,000 in chips and blinds increasing every 30 minutes will see plenty of players bagging chips. Unlimited reentries are permitted during the first ten blind levels of each starting day. Players will enjoy a deeper structure of 45-minute blind levels for the final two days of play on April 4-5. Those looking to save a few bucks will have plenty of opportunities to do so with three €75 satellites guaranteeing a combined 30 seats. The Big Wrap Main Event on April 5-8 is certainly one that both PLO players and fans via the live stream will want to keep their eyes on. The event boasts a juicy €1 million guarantee for a buy-in of €2,350. The tournament is an eight-max affair with players starting with a stack of 100,000 in chips and blinds increasing every 40 minutes during the two opening flights on April 5-6. Players can reenter up until the end of the late registration period that closes after the conclusion Level 14. With the opening flights ending after 12 blind levels, this means the tournament will witness plenty of last-minute players entering for the first time or reentering if they unsuccessfully tried to bag chips during the opening flights. The blind levels increase to one hour in length after late registration is closed providing players more time as they are approaching the money bubble and beyond. There will also be satellites ranging from €250 to €350, giving lower stakes players a chance to join in on the action. Players winning a satellite will join those that won online satellite events at Winamax and those directly buying in for a chance at a huge payday. King's Resort is offering special hotel deals including five nights for €349 or six nights for €399 for players planning to directly buy into The Big Wrap. Don't wait till the last minute as these special rates are running out fast. Contact Frank Koopmann via +420 735 124 100 to make a room reservation. Players at partypoker can also choose to buy into The Big Wrap PLO with PP LIVE Dollars. 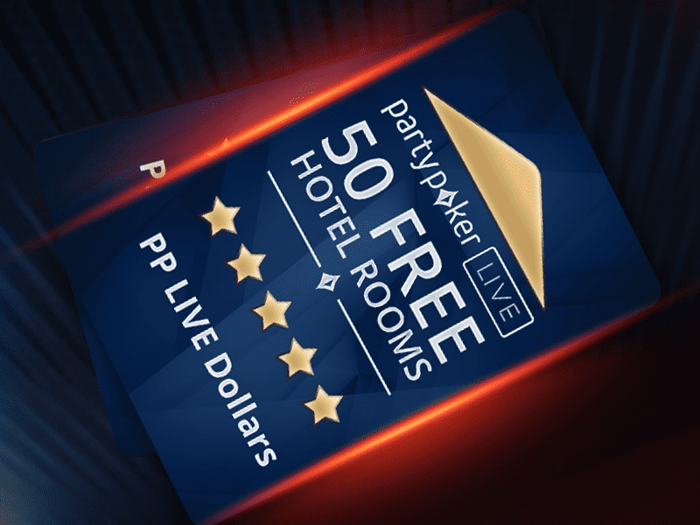 The first 50 players to buy into the €1 million guaranteed The Big Wrap PLO using partypoker's live currency will be treated with three nights of hotel at King's Resort for free. * Images courtesy of King's Casino. $30 worth of SPINS tickets for a £/$/€20 First Deposit + Get up to 40% back every week! One Time Poker: OneTier VIP and MASSIVE Overlays! Become a OneTimePoker Pro Ambassador!